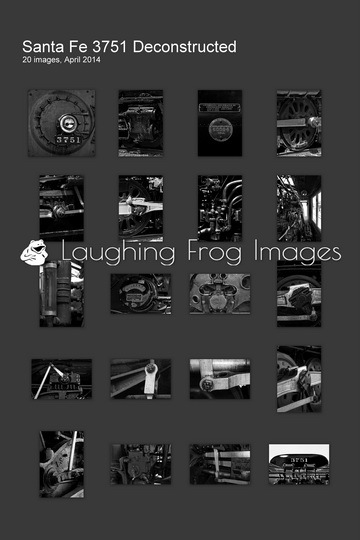 Continuing the Frog’s quest to provide unique images for your perusal and purchase, we’ve just completed the first two fine art posters for Laughing Frog Images. I’m drawing from the influences of other fine art posters that I’ve seen over the years – a monochromatic background, simple sans-serif title and description, and provocative black and white images. 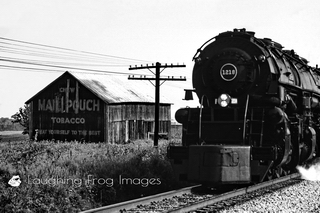 The first two fine art posters are photographic deconstructions of two popular steam locomotives – Santa Fe 3751 and Union Pacific 4014. For both fine art posters, the original images were shot in color with a vivid bias to mimic slide film and converted to black and white using onOne Perfect Photo Suite software. 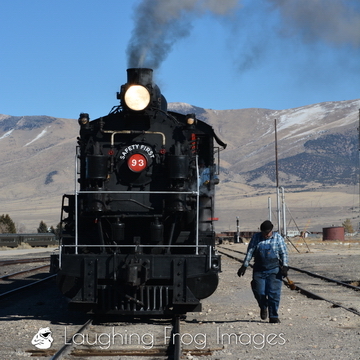 I’m not going to lie to you – I don’t remember the settings used for the 3751 images (guess I should keep better notes). The images of the 4014 were converted to a profile that emulates Panatomic X, an ASA 32 black and white film formerly manufactured by Kodak. This film was also known as “Pan-X”, and was a fantastic black and white film known for a great tonal range and minimal grain structure. There will be more fine art posters to follow as the scanning progresses. Off the top of my head, the subject matter is probably going to be steam engines and “vintage” trains as long as I stay with black and white images. However, the fine art possibilities are probably endless as I scratch my head and ponder the image galleries and those to be scanned. 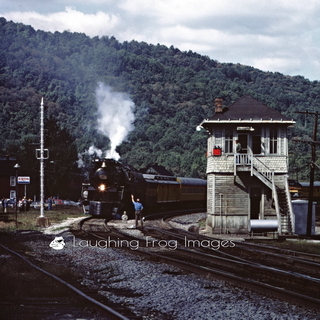 You can find the posters in the Posters – Trains Gallery on Laughing Frog Images, and make one or both of them your own in any one of several ways. As always, “likes” and “shares” are most appreciated!